December 1st is World AIDS Day, where people around the globe come together to raise awareness for the achievements that have been made, the work that is currently being done, and highlight the importance of continuing the fight against AIDS. At TTL, we deal with the effects of HIV/AIDS on a daily basis as we work to mitigate the impact on Lesotho's vulnerable children under-5. The 2014 theme for World AIDS Day is “Focus, Partner, Achieve: An AIDS-free Generation". No one can do it alone, and we at TTL rely on our community partners to make a difference in the lives of the children of Lesotho. 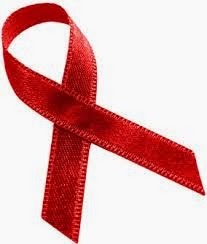 This World AIDS Day, please show your support for those infected and affected by HIV/AIDS and wear a red ribbon, make a donation, volunteer, or spread the word! TTL staff show their support for World AIDS Day by wearing red! "It looks like a losing battle but we have hope, and it's stronger than fear".